AIME is a committee of EFCG that represents the European Producers and Custom Manufacturers of Agrochemical active ingredients and intermediates for ISO regulated fine chemicals. We want to help create a world where access to safe and good quality nutrients is guaranteed for all and promote a fairer and safer environment for future generations. We create value for the European producers of fine chemicals through sustainable competitiveness, growth and the promotion of responsible global environmental performance. 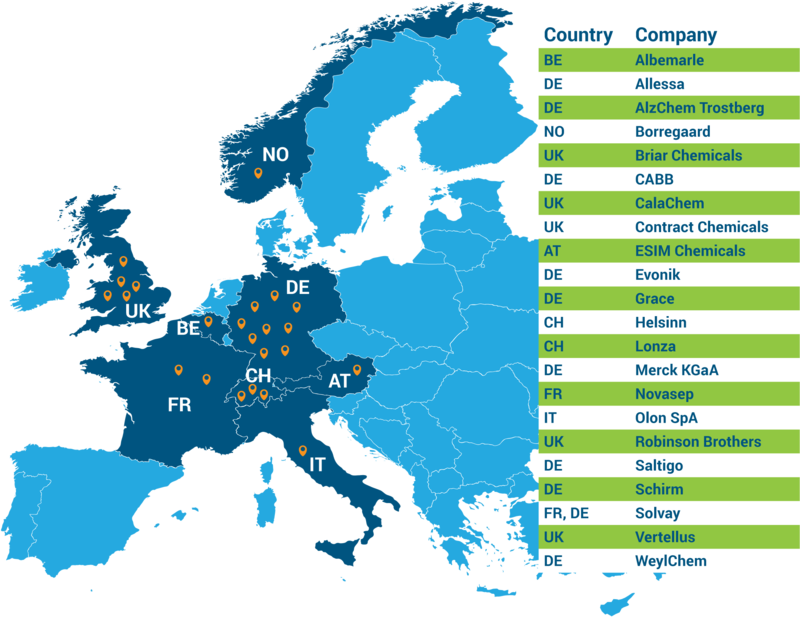 AIME members are fine chemical companies, mostly active in the crop protection industry. The molecules our members produce are the essential building blocks – intermediates or active ingredients- that help deliver the essential and optimal performance of the final crop protection product, thus ensuring increased farming yields and preventing plant and livestock diseases. These building blocks are formulated and produced to cutting edge technology and according to highly technical specifications. They are often tailor-made and produced at relatively small volumes by our members who can deliver the specific chemical technology needed by the larger crop protection multinationals. In addition, AIME members are crucial manufacturing partners for various industries such as automotive, polymer, paints and coatings. With our high-quality approach, we contribute positively to these industries’ premium products.